Made right here in NH. 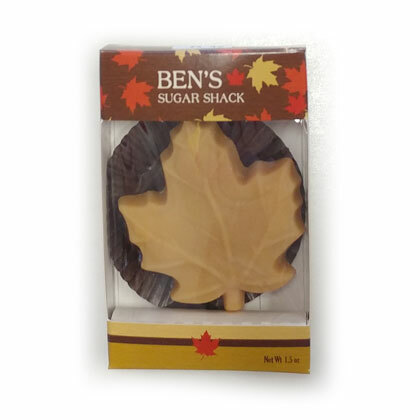 Maple candy leaf. 1.5 oz. Box is approx. 2.5 inches wide by 4 inches tall. I use to get this candy at Cost Plus World Matket and they discontinued it. I’m glad I found Pearls.